1. 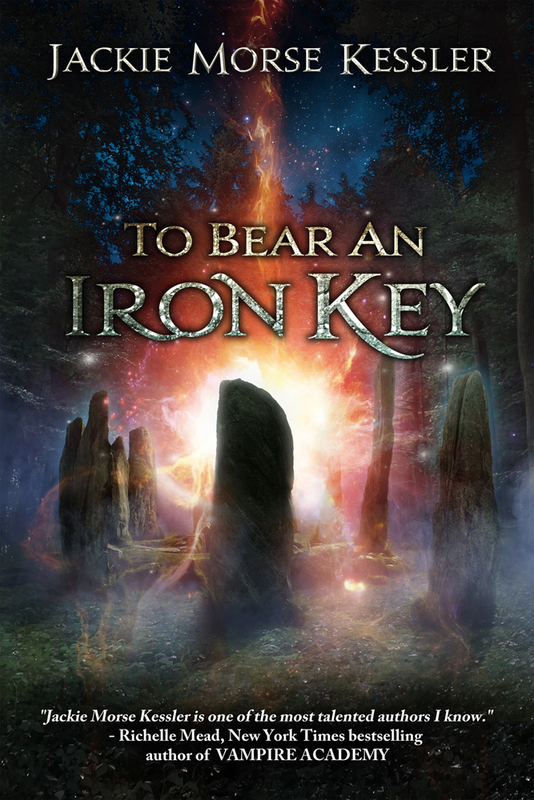 What inspired you to write To Bear an Iron Key? JMK: The book originally was a short story from a very (very) long time ago, one that I never published. After letting it percolate (percolate? It sat for so long, it probably curdled!) for a while, I dusted it off, reread it, kept a key scene as a vantage point, and scrapped everything else except the names. And then I wrote the book. 2. How much research on fairy folklore did you do for the book? Did you do any other research? JMK: I did some reading on fairies and folklore – a few books here and there that delved into different types of fairies/fey and how people (supposedly) interacted with them. I’d also picked up some commonly recognized lore through being a fantasy reader. Plus I researched medieval villages and professions. JMK: Every book is different. For the KEY draft, I didn’t outline it; that story unfolded, once I had the key scene (really, the story’s climax). For the revision, though, I had post-it notes galore all over my desk and computer screen! But for the next book, I wrote a detailed chapter outline, which I’m now using as a roadmap for my writing. 4. Which of the characters in the novel to you feel you have the closest connection with? JMK: Gosh, that’s difficult to say; since I play God to all the characters, I feel like I’m close to all of them. I adore Bromwyn and Rusty (the two main characters), and I respect the primary antagonists (the fey King and Queen), as well as Bromwyn’s grandmother Niove (the witch of the Way of Death). But if I had to pick, I’d have to go with Bromwyn, because she’s the point of view character for the book (close third person). 5. Did you have any input on your cover? JMK: I was shown a number of options, and I’m really pleased to have been part of the decision process. Even more pleased with the final cover! 6. How do you come up with character names? JMK: Some of them, like Rusty, have to do with character traits (in his case, a physical trait: his red hair). Others, like Niove, are from people I’ve met with awesome names. Some are influenced by books, games, movies, etc. And some are from baby naming guides! 7. How would you describe your book in 5 words. JMK: Witch and thief vs. fairies. 8. What are you reading now? Favorite Books? 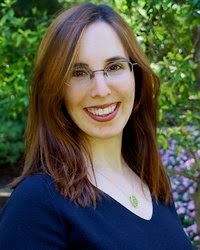 JMK: I’m pursuing my MFA in Creative Writing (Fiction) because I’d like to teach one day, so right now my reading is very focused on the MFA coursework (I’m reading Goodbye, Columbus by Philip Roth and just finished The Way I Found Her by Rose Tremain). But when I have time, I’ll be reading Jim Butcher’s latest (Skin Game), Chris Moore’s latest (The Serpent of Venice), and Andrew Smith’s latest (Grasshopper Jungle). I’ll also read everything A.S. King writes, forever and always. 9. What project are working on next? To Bear an Iron Key looks like it is going to be a fun read. Thank you for sharing it with us and of course thank you for the treat of a giveaway opportunity.